Keeping within one tail length of the lakeshore, Skypaw scurried across WindClan&apos;s moor. She felt the need to scan her surroundings every few seconds to make sure she had not attracted the attention of any cats. Or worse, other creatures. Being out by the lake in another Clan&apos;s territory was spooky. The dark water threatened to soak her paws as it lapped up at the shore, and crickets let out an eerie sound. Skypaw&apos;s pelt pricked. Praying that Willowleaf was still there, Skypaw unsheathed her claws as she gripped onto the fallen tree. The crashing of water on the shore was taunting her as she knew there would be no one to save her if she fell. Gripping onto the tree as tightly as she could, she quickly made her way across. She sighed with relief as her paws felt the soft grass below them. Thank StarClan, I made it! Skypaw was going pad over to where the Clan cats usually gather to listen to their leaders. Stale scents of WindClan, ShadowClan, RiverClan and ThunderClan reached her mouth as she grew in a breath. "Skypaw!" A greeting hollered from the bushes. Skypaw&apos;s fur bristled and her tail bushed up out of fear before the familiar tortoiseshell pelt came into view. "Willowleaf!" Skypaw hissed playfully. "You scared the life out of me!" "Well, you&apos;re alive," Willowleaf meowed humorously. Her gaze quickly turned to curiosity. "Why are you here so late?" "Hazelflower took me out hunting from sunhigh to dusk," Skypaw explained apologetically. "I had to sneak out of camp. I was hoping you were still here." "I sheltered here," Willowleaf explained. "The leaders are quite lucky. That tree is actually more comfortable than it seems." Skypaw&apos;s eyes widened in alarm. "The Gathering is tomorrow! You have to get out of here!" "I know, I know," Willowleaf meowed. "Calm down. I&apos;m planning to follow you out." "But what about your scent?" Skypaw&apos;s worries died down as she remembered Willowleaf&apos;s tricky scent cover up from earlier that day. "Oh, never mind. You did a wonderful job of hiding yourself today, by the way. You had me scared out of my fur." Willowleaf narrowed her eyes as curiosity threatened to take them over. "What do you mean?" Her meow was low. "When I saw you out with Hazelflower," Skypaw meowed like it was obvious. "I saw you in that bush." 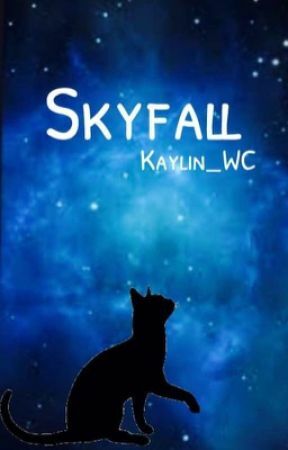 "Skypaw," Willowleaf&apos;s meow was filled with alarm. "That wasn&apos;t me." "Ha-ha," Skypaw replied sarcastically. "You&apos;ve scared me too many times today, haven&apos;t you had enough?" "No, Skypaw," Willowleaf snapped. "That really was not me. I was here all day." Skypaw had an eerie feeling suddenly creep up her fur. "W-what do you mean?" "Whoever that cat was, it was not me. I&apos;m not a fool! 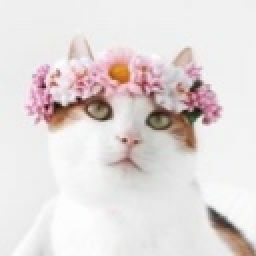 I wouldn&apos;t have gone back to ThunderClan&apos;s territory after seeing Firesoul and knowing that Sunstar had patrols sent out just to make sure I wasn&apos;t there." Skypaw&apos;s voice came out as barely a whisper as her fur began to rise. "Then, who could it have been?" "Well, what did they look like?" Skypaw could tell the former medicine cat was trying to keep her own emotions under control for Skypaw&apos;s sake, but she knew better. Both she-cats were panicking. "I only saw their eyes," Skypaw explained. "They were amber, just like yours. They quickly disappeared after I saw them, though. They didn&apos;t leave a scent, that&apos;s why I thought you did such a great job." Skypaw let out a small screech as she saw the same amber eyes emerge from the shadowy trees. Its pelt had a ghostly outline, and she could see right through it. The color of this cat&apos;s pelt was heart to determine, and Willowleaf froze with horror as she realized who it was. Her pelt spiked and her eyes were wild. "Miss me?" The dark meow of this cat rattled Skypaw&apos;s insides as the cat let out a rasping, evil purr. Mwhahah! Short update. I have to go to bed soon, so I figured I would post this before I did. I&apos;ve been falling behind in updates lately, and I&apos;ve been trying very hard to catch back up. Sorry for the cliffhanger. In case you guys haven&apos;t noticed, cliffhangers are like my favorite thing in the world. Until I read them, of course.